Planet Gain is a rapidly evolving textile company that accepts an array of used clothing, from shoes, purses/belts, accessories, mixed rags, credential clothing, toys to credential books. Our goal is working with non-profit organizations around the world and contributing to their goals by solely picking up their textile goods. We will strive to build a long-term relationship with our suppliers and continue to support their goals and contributions. We have been in the business of purchasing textiles for over 12 years and servicing our clients with the most reasonable useful apparel. Our clients consist of non-profit organizations and clients, who are interested in purchasing our high volume products in bulk. Our textile company understands the demand for high quality clothing from our diverse community. We provide a variety of valued clothing along with the commitment to provide a great rapport with our clients. We are able to handle large loads of clothing through our reliable freight forwarding companies. We do pick up locally and nationally at your convenience. 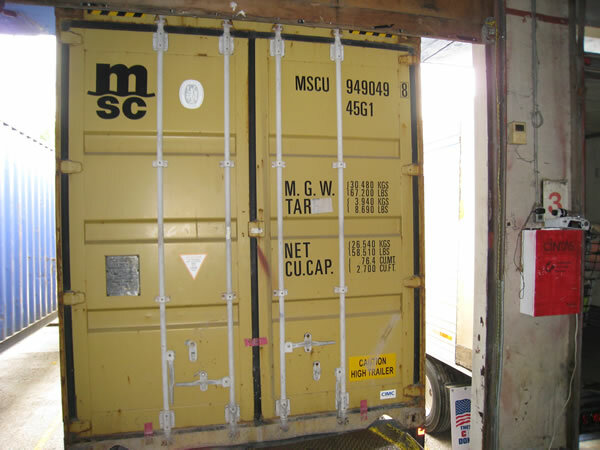 Our exports are shipped out through a 40ft. ocean container. We will also pickup loads using a 53ft. trailer or 20ft. box trucks, either local or nationally. 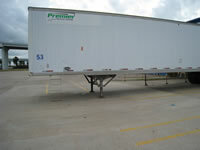 If needed, we can also arrange a 53 ft. drop off trailer at your facility with same day pickup. At Planet Gain, we are consistently looking for ways to reduce environment waste and keeping the environment clean by recycling through our warehouse. We utilize all clothing coming into our warehouse and develop a system, where all clothing without a home will be turned into wiping rags.